What do the Minister of Education Anja Karliczek, BIBB President Professor Esser and Martin Schulz have in common? Visitors to the didacta Italia education fair found the answer to be simply “incredibile”! GOVET was also able to provide plenty of insights into the dual system, establish contacts and present some proud trainees. “Wow! Unbelievable!” Visitors to the didacta Italia trade fair were heard to call out in surprise as they took part in a GOVET quiz on the German vocational education and training system. The didacta Italia is an offshoot of the German didacta, the largest educational fair in the world. GOVET was once again in attendance this year to impart new information about VET, establish contacts and share its experiences. Participating in the event on behalf of the Federal Ministry of Education and Research (BMBF) GOVET set up a joint stand which pooled the competencies of the stakeholders in German-Italian VET cooperation. It joined forces with the German Chamber of Commerce and Industry in Italy and the Italian Goethe Institute to present a wide-ranging information programme on cooperation projects, stays abroad and VET expertise. Dr. Caroline Baumgarten from GOVET, who is responsible for enquiries, and trainee event manager Elena Höwer were on hand to provide visitors with information material and help in the search for cooperation partners. Despite very little or even no knowledge of the host countries language at all, the eight trainees from Italy and Germany took an entirely positive view of the periods of training spent in the foreign country. They all expressed a wish to go abroad again. The audience was particularly astonished to hear that cooperation with company colleagues in the host country ran very smoothly although language skills were thought to be so crucial. The young people involved stated that competencies acquired were very similar in both countries. Understanding what to do in any given work situation was almost always automatic. Plenty of time was also made available for networking between stakeholders of the German-Italian VET cooperation projects. Current activities such as the Training and Qualifications Initiative for vocational teachers and the Startnet network project in the Apulia region were presented. Participants were also interested to discover which new structures and processes had been established in the Veneto region since the conclusion of the FITT! Cooperation project the year before. In actual fact, the Government of Veneto has used the procedures for the development and implementation of uniform standards that emerged from FITT! as an impetus and adopted these processes as a regional reference immediately upon conclusion of the project. Ultimately, any project is only as good as the lasting effect it produces. Sara-Julia Blöchle of GOVET, who is in charge of cooperation with Italy and chaired the workshops, was available each day to give specialist presentations and respond to visitors’ enquiries in person. The whole programme generated a lively level of interest from the trade fair audience, and one of the GOVET events even attracted a whole school class. However, GOVET’s quiz on the German dual system garnered particular attention. The question that frequently caused the greatest number of furrowed brows amongst participants was as follows: “Which of these German personalities has completed dual training – Minister of Education Anja Karliczek, BIBB President Professor Friedrich Hubert Esser or Martin Schulz, former President of the European Parliament?” There was also considerable amazement when the answer was revealed—all three of them! VET cooperation between Germany and Italy is based on a declaration of intent on cooperation in VET and labour market policies between the Federal Ministry of Education and Research (BMBF), the Federal Ministry of Labour and Social Affairs (BMAS), the Italian Ministry of Education and Research (Ministero dell'Istruzione, dell'Università e della Ricerca, MIUR) and the Italian Ministry of Labour (Ministero del Lavoro e delle Politiche Sociali, MLPS). GOVET accompanies the BMBF's bilateral cooperation with Italy through technical planning and consulting as well as steering and implementation of the activities. 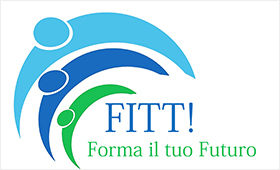 FITT - a project by Italian players and BIBB to develop training framework plans for dual vocational training in the catering sector in the Veneto region. Sara-Julia Blöchle conducted a series of workshops with Italian cooperation partners and institutions at the beginning of 2018.